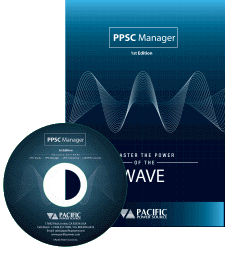 Pacific Power Source’s new PPSC Manager software allows exceptional Control of Pacific AC Power Source’s AFX Series AC & DC capable power sources. Operated through either, LAN with LXI support, USB or RS-232, all AFX Series modes and capabilities are supported to allow full and easy control and measurement of these sophisticated power source through a Windows 7, 8 or 10 graphical interface. Our unique Waveform Editor allows you to simulate virtually any type of waveform with a Pacific AC Power Source in either AC or AC+DC mode. Improved program control through the use of Output Sequences allows you to attach waveforms to each Output Sequence ensuring the correct Waveform is used. 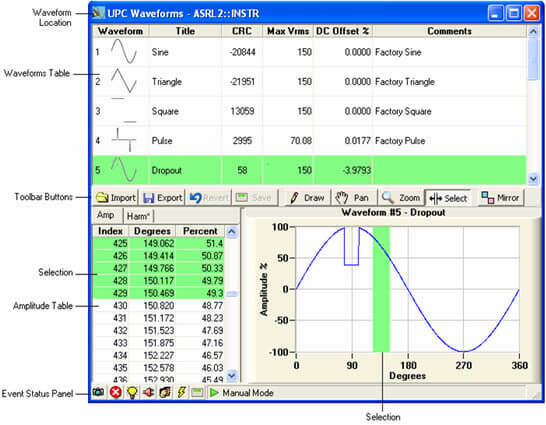 The Waveform import feature allows you to use selected Oscilloscope waveforms to simulate real world applications. PPSC Manager provides quick and easy control over the basic functions of Pacific Power Source’s AFX Series AC & DC Power Source. 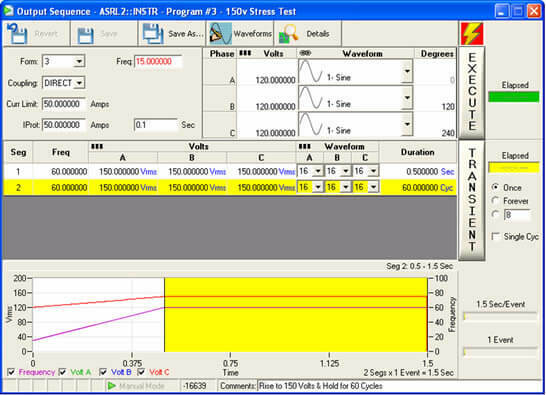 Presets for 50, 60, and 400Hz are provided for most common applications. Form, (no of output phases), Current and Power Limits, AC Voltage, DC Voltage, and Waveforms are all easily accessed from this single easy to use soft panel. 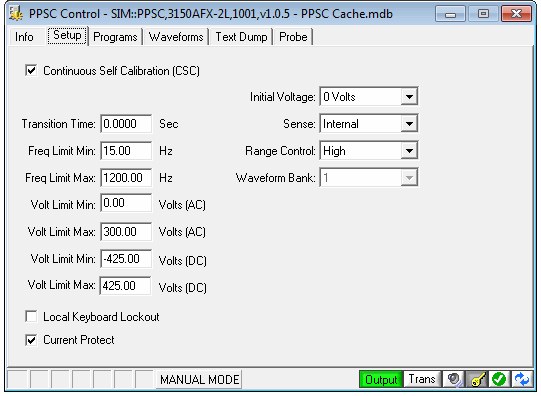 PPSC Manager is intended for use with the AFX Series models only. 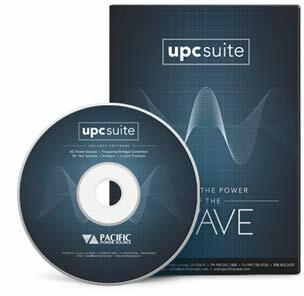 For other Pacific Source Models, refer to UPC Studio softwaree. The PPSC Control Panel provides quick and easy operation of your AC & DC Power Source. 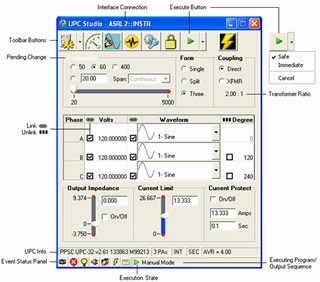 PPSC Studio will automatically determine your Power Source’s configuration and offer the appropriate options, if installed on your Power Source. Selecting the Metering Screen will display measured output values. 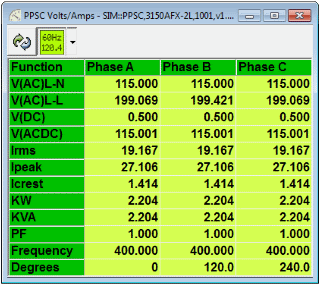 PPSC Studio’s Waveform Editor allows you to view all waveforms stored in your power source. With the Waveform Editor almost any waveform may be produced using tools like Freehand draw, Harmonic and Phase angle values, Ring Waveform wizard, and a wide range of import features. The Output Sequencer allows you to link waveforms to your power source controller programs. When an Output Sequence is executed PPSC Studio quickly downloads any waveforms used by the Output Sequence into power source controller prior to executing. PPSC Studio’s “Control” soft panel provides a simple and effective means by which to test remote communications as well as save and restore all set-up, programs and waveforms.